With the last three tests between the two countries sitting at 1-all with one draw, both sides will be looking to take an all important lead heading into the three T20I’s that follow. Lanning’s sheer power at the top of the order has created the platform for the Australians when they’re in tune. With an average of 65 and a strike rate of 95.12, the 23-year-old skipper has long dispelled the myth of the women’s game being one of power. While more evidently a skill and strategy game, game-changing technology hasn’t been lost on the women’s game either. On the other side of the ledger, England’s momentum has been halted. Charlotte Edwards and Sarah Taylor, the stalwarts of the batting order, have 147 runs between them at an average of 24.50. 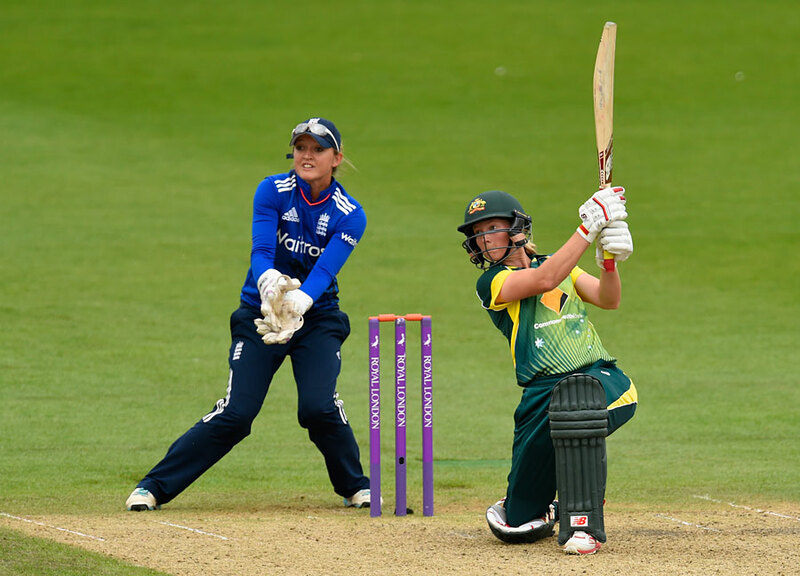 A convincing win in the first ODI at Taunton was a prominent sign of the hosts taking charge; however, it was Lydia Greenway and Natalie Sciver who delivered the bulk of the run chase. Not to take away from the stellar careers of Edwards and Taylor, but it has been pleasing to see others able to step up to the plate, primarily with the bat. In what is the most prestigious women’s competition outside of the World Cup, the consistency with which Australia has held sway over the rest of the world has been daunting to others. However you look at the setup, one aspect stands out; aggression. Prior to the series, Lanning’s words of both her experience and that of her counterpart, Edwards, follows on from the mentality out on the field. Ahead of the test match at Canterbury, the ball is firmly in England’s court. Winners of the last test, in Perth, the hosts have added Fran Wilson on the back of half-centuries in a recent academy game. Transferring from the white to the red ball can be difficult for some, but the one most important element is that the women consistently control, and play, the ball better with technique. With the test only a four-day encounter rather than a five-day in the men’s competition, a good start is absolutely paramount.